I'm excited to share information about a remarkable film about a turning point in birthing practices throughout the world. 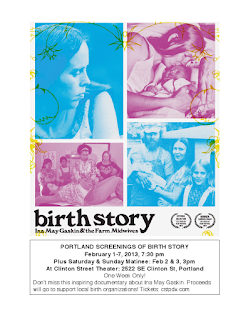 Birth Story is an authentic documentary about Ina May Gaskin and The Farm midwives. Ina May's book, "Spiritual Midwifery," lit the way for my 28 years as a midwife and has been the inspiration for an entire generation of midwives, families, physicians, and birthing professionals. Her work changed our lives ... it's so important to learn the lessons and not slip further into the dark abyss of routine, inhumane, costly, harmful, and totally unnecessary medically managed childbirth! 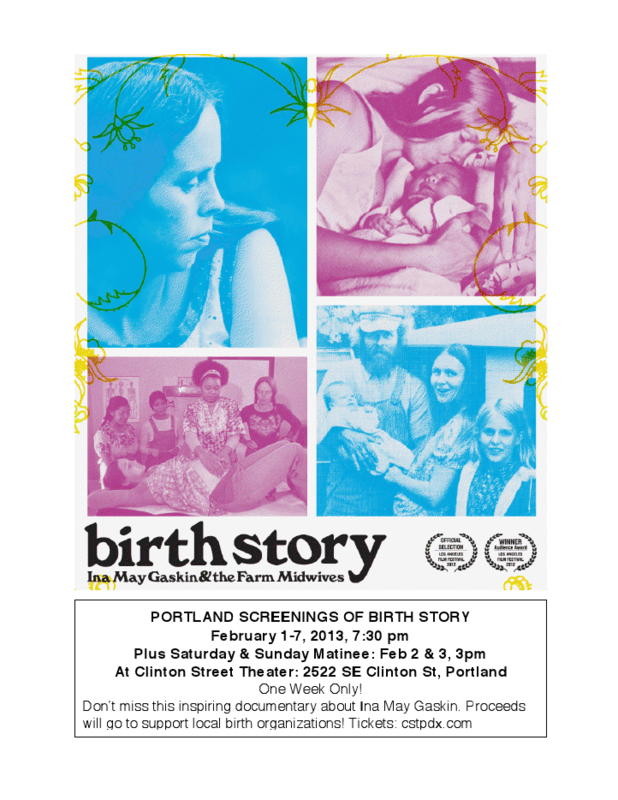 Screenings in Portland are being held Feb 1-7. Click Here to read more and see the trailer!